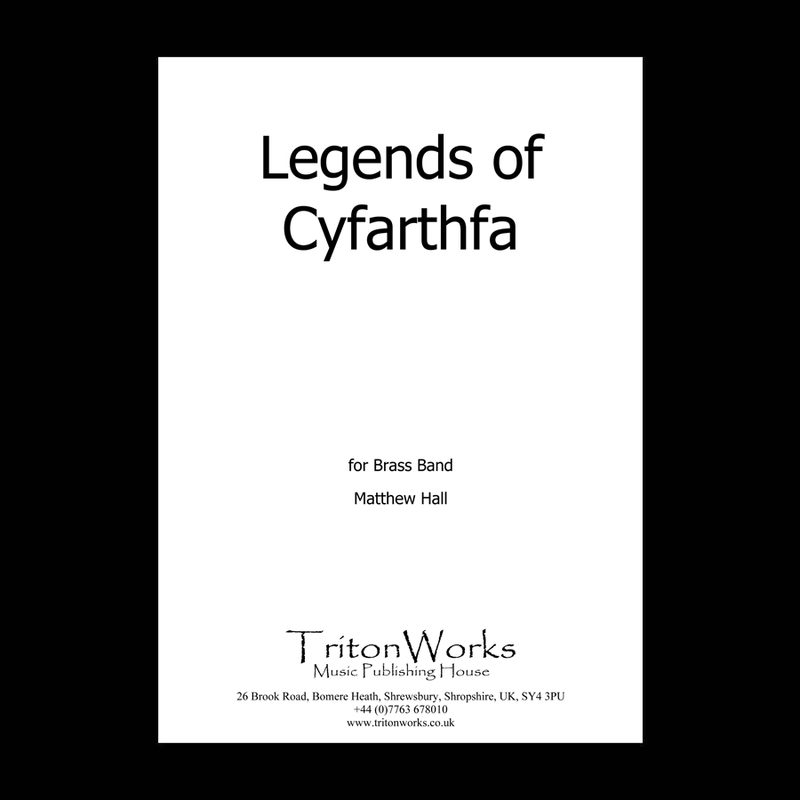 Combining the music of Joseph Parry and the legendary Cyfarthfa Band, Legends of Cyfarthfa is a technically challenging but musically rewarding concert work. Robert Crawshay owned the Cyfarthfa Ironworks in South Wales creating a business empire second to none. Cyfarthfa Castle was built by Crawshay as the family home from the income made via the ironworks. He wanted his own private band to play under the name of the ironworks with the best players in the world, playing on the highest quality instruments at the time. Employing the band members under the guise of iron workers, the Cyfarthfa Band was made up of virtuoso players, performing for the pleasure of the Crawshay dynasty. This virtuosity can be heard in some of the more technically challenging sections of Legends of Cyfarthfa. Joseph Parry was born in Cyfarthfa. He composed the first piece of music specifically written for brass band called Tydfil Overture for the Cyfarthfa Band, alongside many other memorable works for other instrumentation. Legends of Cyfarthfa incorporates many of Parry’s works including his opera Blodwen, hymn tune Aberystwyth, folk melody Myfanwy and the Tydfil Overture, alongside many other melodies from Wales. Sospanfach, Men of Harlech, Lisa Lan and Calon Lan are just a number of the melodies that are used in this composition. The premiere performance was given by Tredegar Town Band under the direction of Ian Porthouse at the 2010 Brass in Concert Championships where it was awarded the Cyril Beere Memorial Trophy for Best New Composition or Arrangement.